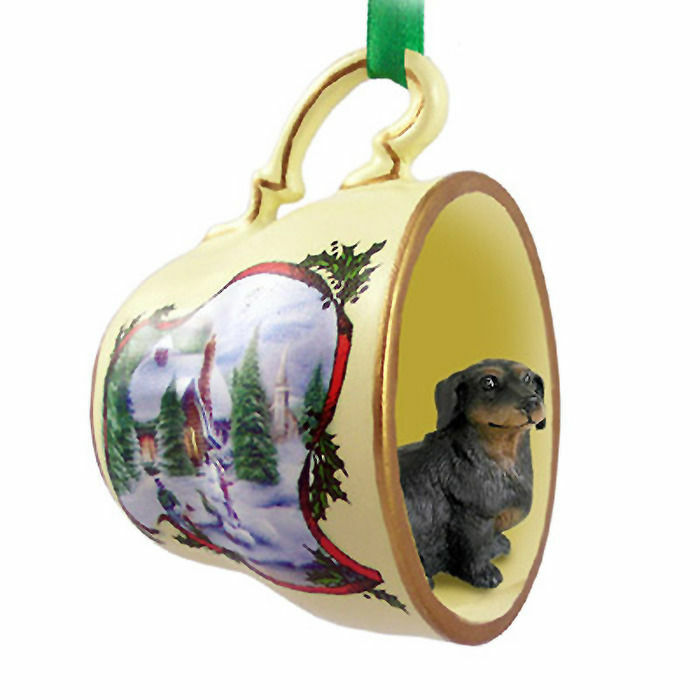 Our Dachshund figurines are offered in two colors and two coats. Black or red for colors and smooth or rough for coat textures. 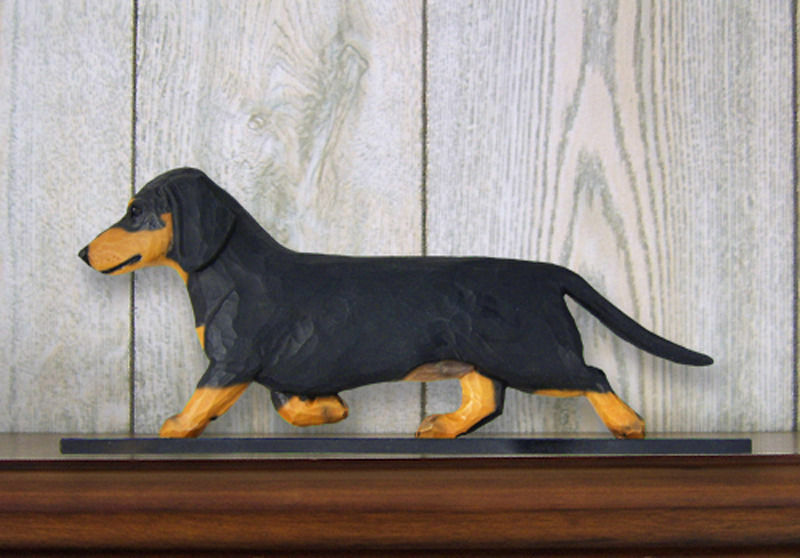 This Dachshund smooth black figurine uses the same mold as our other three styles. 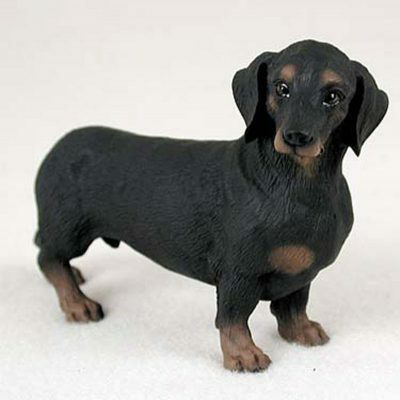 The entire figurine is covered in black except the paws, mouth, eyebrows, and one round spot on the chest which are a brown clay color. 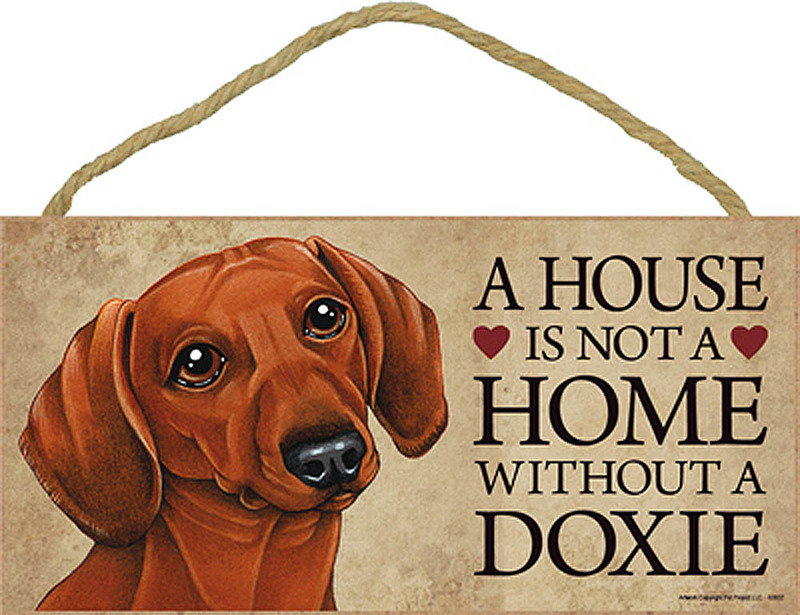 Our figurine carries the same well known "hot dog" build the breed is most known for. Legs are short giving the figurine a low to the ground stance. 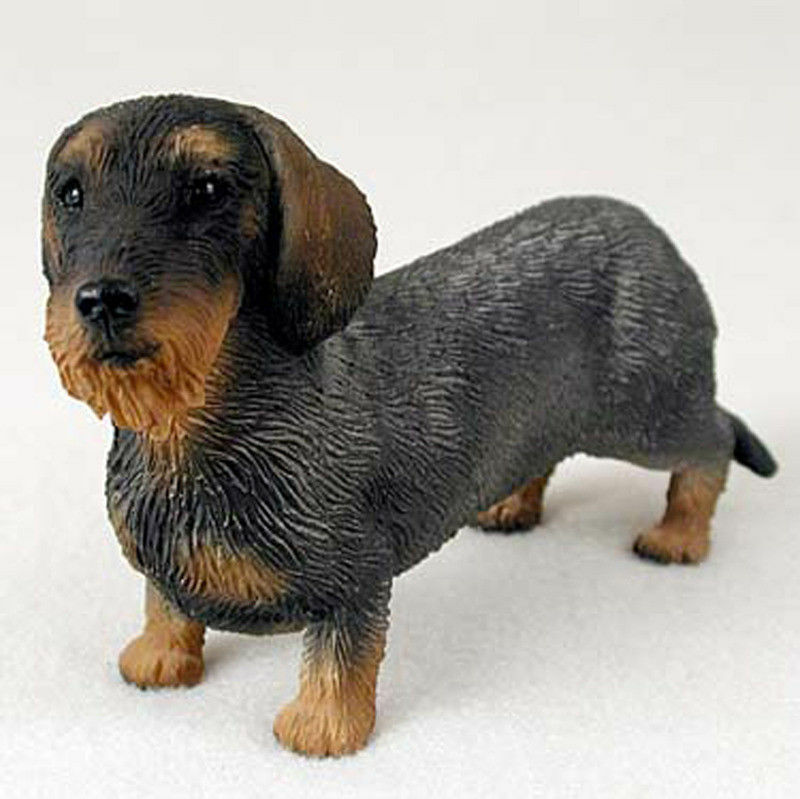 The coat is smooth with visible hair lines all over the figurine.